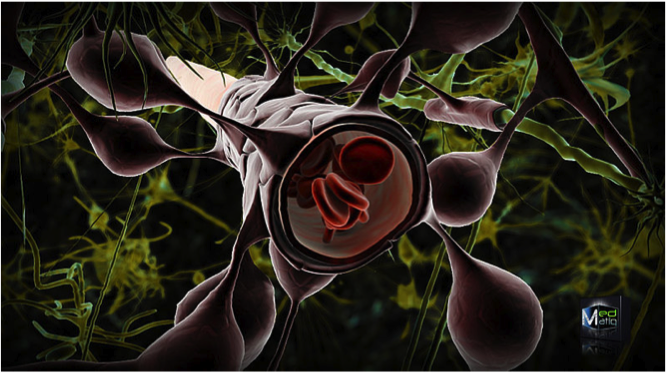 Learn how to extract neuromodulating agents from common products. Test how these agents affect neuronal spiking patterns. Investigate how different classes of neuromodulators affect various populations of neurons in the cricket. CCSS.ELA-Literacy.RST.6-8.6 Analyze the authorâ€™s purpose in providing an explanation, describing a procedure, or discussing an experiment in a text. In this section students will create their own illustrated guide to the neurotransmitters used in this experiment. Nicotine comes from the tobacco plant. Tobacco evolved nicotine to prevent insects from eating its leaves. Nicotine is a powerful acetylcholine receptor agonist. An agonist is not a neurotransmitter, it is a chemical that amplifies the effect of other neurotransmitters by binding to synapses. 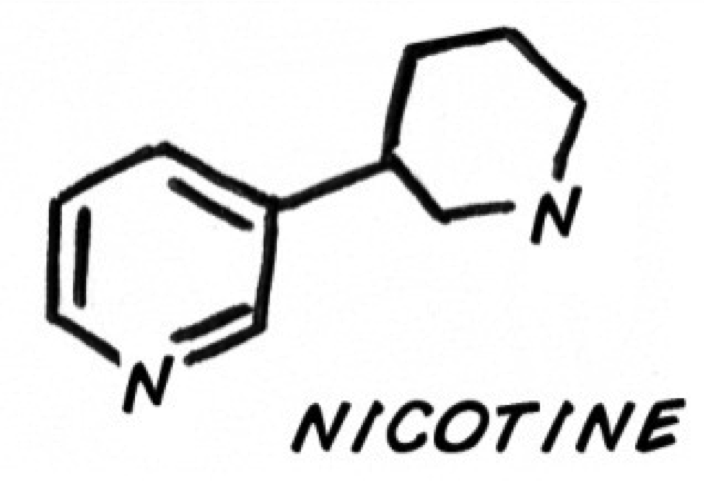 Nicotine amplifies the effect of acetylcholine (ACh) binding to its receptors in synapses, causing a neuron to fire more (due to increased sodium ion influx). 1b. Based on the information on nicotine and how it affects neurons in humans, describe how you think it will affect neuron firing. Nicotine is an agonist for acetylcholine, so it should amplify the effect of acetylcholine, causing neurons to fire more rapidly. 1c. Draw what you think the spiking activity will look like when nicotine is introduced. Show what the signal will look like before and after the introduction. Ethanol (alcohol) is a drug that also is an agonist to neurotransmission (like nicotine it binds to receptors and increases the activity of other neurotransmitters). Ethanol increases the effect of GABA binding channels. Unlike ACh receptors, stimulation of GABA channels often leads to inhibition of action potentials. In other words, GABA channel stimulation will slow down the firing of a neuron. Ethanol is an agonist for GABA, which reduces neuron firing. Therefore it will probably reduce neuron firing in insects as well. 2c. Draw what you think the spiking activity will look like when ethanol is introduced. Draw what you think the signal will look like before and after introducing ethanol. This experiment is dedicated to Anuradha Rao, a neuroscientist who studied pharmacology and enjoyed educational outreach. Her memorial fund generously allowed Backyard Brains to present experiments and prototypes at the 2010 Society for Neuroscience Conference in San Diego, CA. Begin by telling students that in this experiment they will test the effect of neuroactive compounds on the central nervous system using commonly found chemicals and cricket neurons. Access students' prior knowledge by asking them to list some examples of drugs that affect the brain (you can list their suggestions on the chalkboard). Explain that many dangerous drugs that affect the brain are found naturally in wild species like the batrachotoxins of poison dart frogs or the tetrodotoxins of fugu puffer fish, both of which block sodium channels. Others are drugs of abuse (like cocaine, which allows dopamine to stay in synapses longer than normal). Explain that the blood-brain barrier (BBB) prevents the passive diffusion of many substances into the brain. The BBB is composed of brain endothelial cells that are packed closely together around all capillaries, with tight junctions and a higher than normal electrical resistance. This barrier ensures brain function in vertebrates and insects by maintaining the ionic integrity inside the brain. It also prevents many toxic substances and bacteria from entering the cerebrospinal fluid(CSF), the fluid surrounding the brain and spinal cord. The BBB also protects the brain from neurotransmitters that circulate in the blood stream; for example noradrenaline is released into the blood stream during the fight or flight response, but the BBB keeps the brain from being flooded with this chemical. However, the brain also needs some substances to be able to pass the blood brain barrier. Ask students what things the brain might need to pass through the barrier in order to function. If students don't mention it, explain that oxygen has to be able to pass the blood brain barrier. The blood brain barrier (above) is composed of cells that line capillaries and have very tight junctions between cells and high electrical resistance that prevents chemicals and bacteria from diffusing into the brain. There are also specialized barrier cells actively transport some metabolic products such as glucose across the BBB with specific proteins. The practical consequence of the BBB on our experiments is that only certain drugs with specific characteristics can be used to influence neurons. Discussion Question:Ask students how the blood brain barrier might make it difficult for pharmaceutical companies to design drugs that treat brain function. Tell students that despite the difficulty in obtaining neuromodulating drugs we do have access to some neuroactive compounds that we can use on our insects: nicotine, monosodium glutamate, calcium chloride, and ethanol. However, before we learn about how each of the pharmacological agents affect the brain, we should first review how neurons and neurotransmitters work. As you have previously learned in your introduction to the SpikerBox experiment, neurons are electrochemical machines. Electrical impulses travel down the axons to encode information, and in-between every neuron is a synapse. When an action potential reaches the end of the axon (the synapse), the axon releases neurotransmittors that bind to the "post-synaptic" neuron and change the neuron's electrical or chemical properties. Create a saline solution by cominbing 1.5g of table salt(NaCl) and 1.25g of baking soda in 250mL of distilled water. To create a nicotine solution, take a cigarette or small cigar, remove all the shredded tobacco leaves, and place them in a small container (a clear pill bottle, for example). Fill the container with saline solution, put the cap on, shake up the mixture, and allow it to sit for a couple days to extract the nicotine. Over time the solution should turn yellowish-brown. (teachers may want to pre-prepare the solution for students). Mix 196 mL of saline with 4 mL ethanol to make a 2% EtOh solution. Take 12.5 mL of the 2% EtOh solution, add 87.5 mL of saline to make a 0.25% EtOh solution. 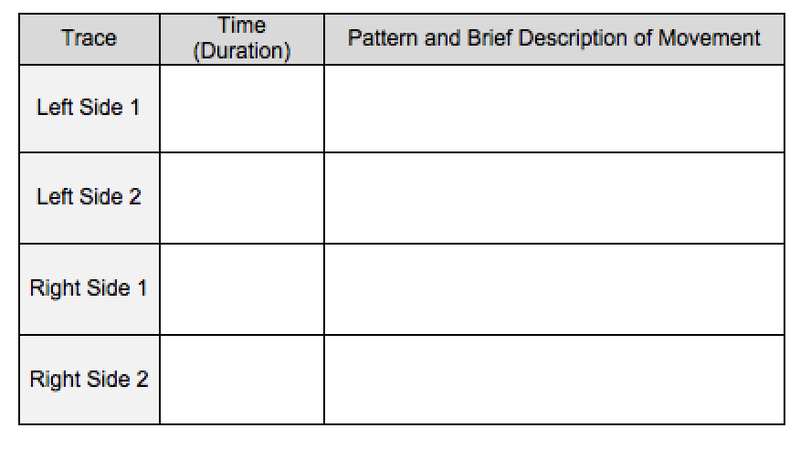 For this exercise, you will be using measurements from the cricket nervous system to determine the effect of a drug on spiking patterns and rates. 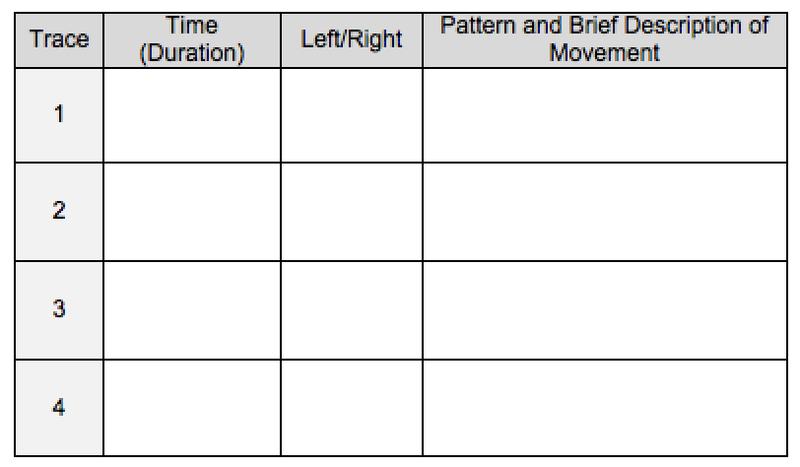 If students do not observe movement or spiking in response to stimulation, encourage them to be patient. It may take several minutes for the cricket's VNC to warms to an optimal recording temperature. In this time period, activity measured from the cereal ganglion may seem quite low. If, after 5 minutes of warming, you are still unable to observe any spikes, adjust the electrodes and repeat stimulation. If your students do not observe spikes after another few minutes of stimulation, you may need to use a new cricket. Have students place crickets in ice water for 5 minutes. When the cricket has stopped moving and has been anesthetized, place it on the lab bench. 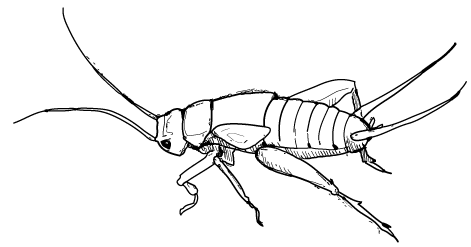 Students should place the cricket on the cork bed of the SpikerBox, ventral (belly) side up. 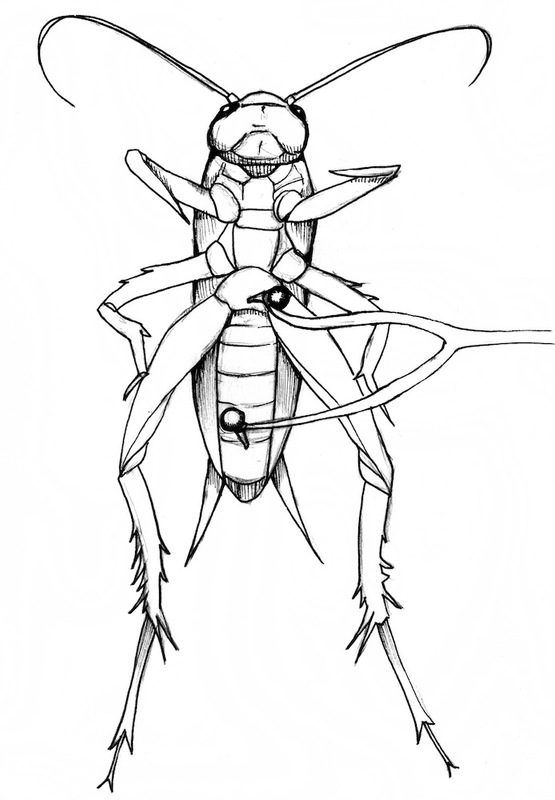 Have students insert the SpikerBox recording electrode through the abdomen of the cricket into the cereal ganglion. The cereal ganglion is the most posterior ganglion in the ventral nerve cord (VNC). Try to place the electrode into the center of the ganglion. Stick the ground electrode into middle of the abodem. Now, using a small syringe (you can buy these at your local pharmacy), have students inject a few drops of saline solution into the abdomen of the cricket. Using a toothpick or by blowing, students should stimulate the cerci of the cricket. This should generate a strong spiking pattern. Turn on the SpikerBox and Audacity (or, if using a mobile device, our Android or iOS app). Connect the SpikerBox to the computer / mobile device and begin recording on the software. Once students establish consistent recordings, you are ready to begin observing the normal firing pattern of the cricket cereal ganglion. Students should stimulate the cerci of the cricket by blowing from either the right or left side of the cricket. Begin recording neural data as before. As one function of the cereal system is to differentiate directionality of a wind stimulus, you should be able to see differences in response to the blowing from one side versus the other. 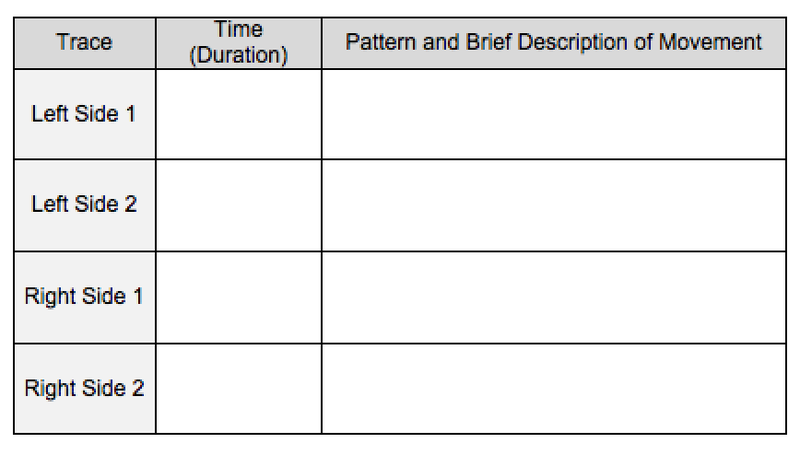 Students should record the time and duration of stimulus (blowing) and the side the stimulus was delivered (right or left). Have students repeat this twice for each side of the cricket. 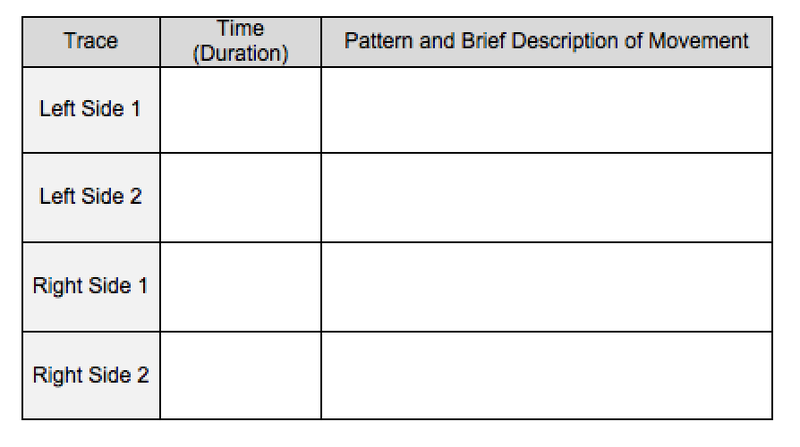 In Table 1, students should diagram the spiking pattern of each trace and give a brief description of any movements generated in response to the stimulation. Beginning with the nicotine solution, students will now test the effect of pharmacological agents on the cricket cereal response. Using a plastic pipette, remove any excess saline from the recording electrode. Have students begin recording the neural data from the cricket. Using the small syringe students should inject a few drops of nicotine solution into the abdomen of the cricket. After a minute (to let the solution reach the cereal ganglion), have students stimulate the cerci as they did in Exercise 3. This may take several attempts. Have them record in Table 2 the time for two successful right and left cereal stimulations. Stop recording. 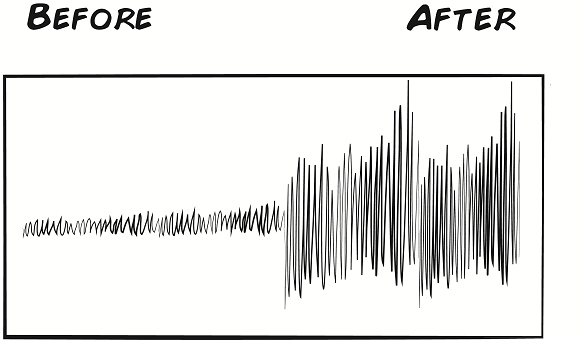 Using the same procedure as Exercise 3, have students amplify and sketch the traces of the successful stimulations. They should include a brief description of any movements that appear to have been generated in response to stimulation. After finishing with the nicotine solution, wash out the recording electrode with saline. Table 2: Effects of Nicotine on the Cricket Cercal Response. Have students repeat steps 1-5 with the ethanol solutions taking care to wash out residual solutions with saline in between trials. Record the results in the two tables below. Table 3: Effects of 0.25% Ethanol on the Cricket Cercal Response. Table 4: Effects of 2% Ethanol on the Cricket Cercal Response. Based upon your results, which pharmacological agents led to an increase in cercal activity? Was this effect consistent on both sides of the cricket? Explain. Nicotine increases neural firing, you can see there is an increase in the size of the spikes recorded after nicotine is introduced . What is happening in the synapse when compounds that increase neural firing are introduced? What interactions are occurring between the compounds and receptors? Do all of the chemicals work in the same way to increase neural firing, or do they have different mechanisms of action? Nicotine is an agonist for acetylcholine, so it binds to acetylcholine receptors and increases the effect of the acetylcholine in the synapse. This causes the neuron to fire more frequently. Based upon your results, did any pharmacological agents led to a decrease in cercal activity? Did this match your predictions? I expected to see ethanol decrease the rate of firing, but we did not see any strong effects of ethanol. 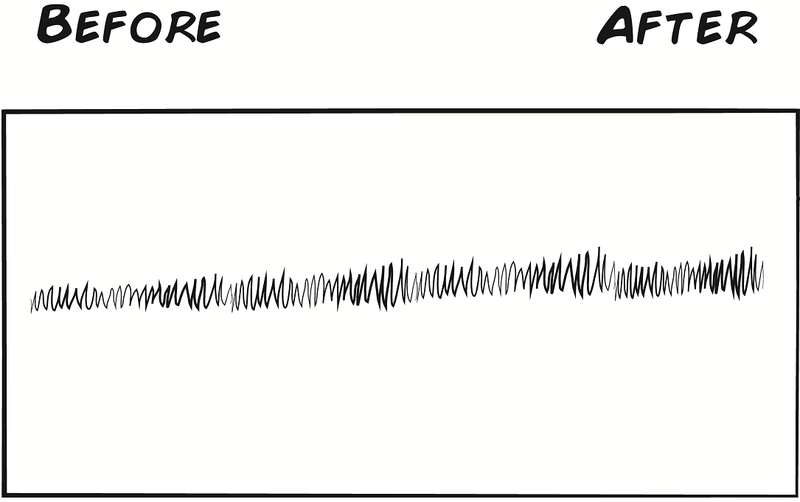 Do you think it is easier to detect decreases in neuron activity or increases? Why do you think this? How could this affect what you observed in your experiments? It might be more difficult to detect decreases in neuron firing, because if the neuron is firing at a very slow rate, you might only detect firing infrequently. Decreases in spiking would make it hard to observe an already infrequent event. Ethanol might decrease firing rate, but we could not detect it because the neuron wasnâ€™t firing very much in the first place. Were there any differences in the movements observed between your control and experimental conditions? What might explain this? Imagine you are hired by a pharmaceutical company to test the effects of a new drug on the central nervous system. They are particularly interested in whether the drug is an agonist. Design an experiment using the spiker box to determine if and how the drug affects neuron activity. Is there a situation in which the drug cold be an agonist, but you might still fail to detect an effect? A drug is an agonist if it increases neural firing, by binding to the receptor for another neurotransmitter. Therefore if the new drug increased neural firing, it could be an agonist, and you could tell by the increase in spikes (like Nicotine in the lab). However, a compound that increases neural firing could also be a neurotransmitter itself, like Glutamate.